Good Abode is conveniently located near the Swim and Tennis Club. You are welcomed by a warm and alluring living room, which also includes a sofa bed. There is also a dining room, fully-equipped kitchen, and a bedroom with a queen bed and bath- all on the first floor. Upstairs, the second floor has a bedroom with a king bed and bath, and the third bedroom has a set of twin bunks, as well as a set of bunks with a twin on top and a double on the bottom with a private full bath. 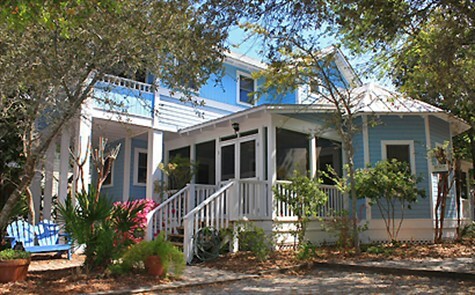 You’ll definitely have a great family vacation in this fantastic abode in Seaside. Click here for more pictures of Good Abode. Click her to view the Virtual Tour for Good Abode.